Looking for more local spots in Paris? Make sure you get yourself copies of our 2019 INSIDR Free Paris Travel Guides! Chocolate in Paris… there are so many shops and chocolatiers to choose from! However, with our top 5 best chocolate shops in Paris list, no need to look any further for the absolute best! By reading on, you can learn about not only where to buy chocolate in Paris and which shops contain the best chocolate in Paris, but also where is the best hot chocolate in Paris! Try Hot Chocolate at Angeline’s Tea Room! For the best hot chocolate in Paris, indulge at Angelina’s Tea Room’s hot chocolate. Their hot chocolate is thick, rich and completely mouth-watering. Don’t miss out! Some of the best chocolate in Paris can be found at Pierre Marcolini. Pierre Marcolini is the leading luxury chocolate shop, selling little black boxes of delicate chocolates since 1995. Their desserts are also decadent, and should definitely be tasted! If you find yourself in the 11th arrondissement, be sure to sample chocolate and hot chocolate at Chocolaterie Cyril Lignac. Their inexpensive but high quality chocolate is a MUST try in Paris. For a luxury chocolate experience, visit Patrick Roger and buy one of their fancy turquoise boxes of chocolates! These boxes also make excellent gifts for loved ones, for holidays or for no reason at all! Their most visited shop is on Boulevard Saint Germain, but you can also choose from many other locations throughout the city. 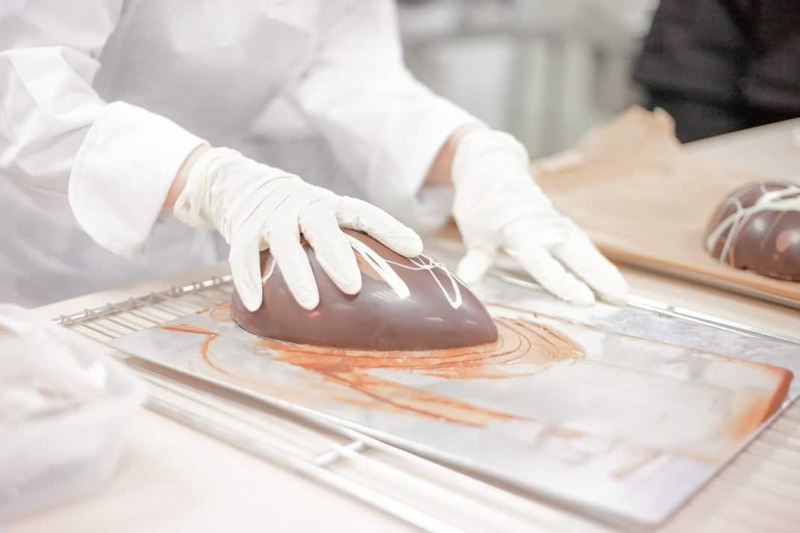 The founder of Pralus, August Pralus, started his family-owned chocolate shop in 1948 and it has since been taken over by his son, keeping the family chocolate tradition alive. With a cocoa plantation in Madagascar, Pralus chocolate is truly amazing. Don’t miss out on trying their bread with chocolate in it as well! Le Chocolat Alain Ducasse is full of original chocolate creations, especially around major holidays. If you aren’t willing to spend a little extra money on a beautiful chocolate creation, you can also buy a simple but delicious chocolate bar here. Listed below are the four different shop locations in Paris!